Awesome…. I have few bolied alu n green chutney in my fridge n of course burger buns in my pantry… I now know how to use them !!! Wow Sailu, looks yum, yum yum !!! Can you please advice how to make garlic chutney? Soak 2-3 red chillis in water for 15 mt. Drain and blend these chillis with 18-20 cloves garlic, salt as required and 1 1/ 2 tbsp lemon juice. Why dont you blog about the kitchen utensils and your pantry and the way you make up some things ahead of time. It would be very good for working mothers who can get some very good hints on organizing and planning their kitchen. This looks sinful and it is one of my favorite street food. These look fantastic. I learn so much about Indian food from here. Thank you for sharing. 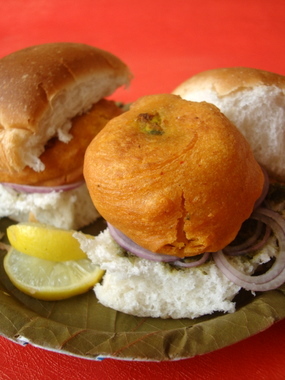 I am from Mumbai and Vada Pav was almost our daily bread during college days. Now its a very rare affair but looking at the pictures i am tempted to have it today. I simply love it! As usual, the photos are a visual delight. As my grandmother used to say, the way we present is more important than even cooking a thing! Thank you. 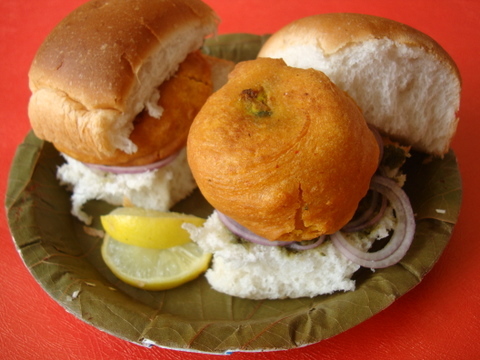 AWESOME Vada Pao……. Very tempting…..I wanted to taste one right now….. Very delectable captures……. Kudos!!!! Mouth watering.. I cant just stop appreciating your efforts and your chat recipes these days. Of course the pictures are a treat always! 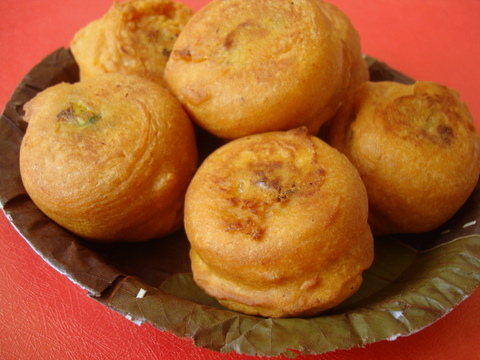 ps: could you suggest how to make bread bonda? i know the stuffing is the same.. but when dipped in oil they (bread bonda ) take in a lot of oil. Any tips there? Prepared pav bhaji and Vada pav last evening. Though pav bhaji is not new to me..making Vada pav was for the first time. The batata vadas were soo good with the green chutney and were totally oil less and amazingly tasty. thanks for the recipe. I came accross some red powdered chutney also for Vada pav in some recipe book. guess its made of coconut and boondi from the vada making process. got to try that too. Anywayz thanks for the recipe. could u pls send me some good healthy recipes for pregnant woman. 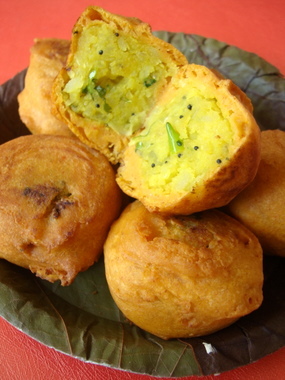 Go to Bombay’s Best for authentic Vada Pav in Hyderabad. They are at Sujana Supermarket, Kothaguda X road. Excellent recipe – thanks so much for this and all your other recipes…..they are wonderful ! I cook almost twice or thrice a week from your recipes….its my go to place for indian recipes.